An entire box for only $16.99! Get an entire box for only $36.99! Pick up an entire box for only $36.99! Pick up an entire pack for only $18.99! Pick up an entire pack for only $33.99! 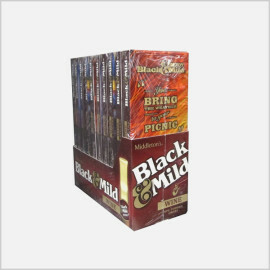 Black And Mild Cigars is a machine-made, pipe tobacco cigar brand, produced by John Middleton Co., a tobacco company located in Limerick, Pennsylvania. 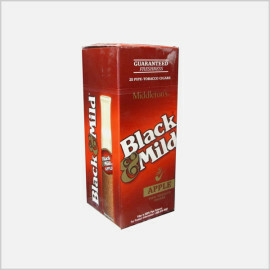 Black And Mild Cigars have a wrapper (and possibly filler) made of homogenized pipe Starbuzz Tobacco, and are sold with a plastic or wood tip, Whether you’re in search of premium cigars, discounted Cigarette Tubes, cigarillos or Filtered Cigars for your collection, you have come to the right place. 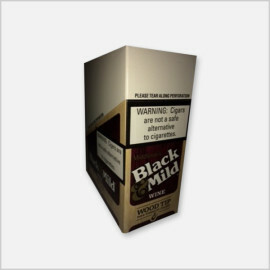 If you are considering to indulge in some of the Black & Mild Cigars top selling machine rolled cigars on the market, consider Black And Mild Cigars. 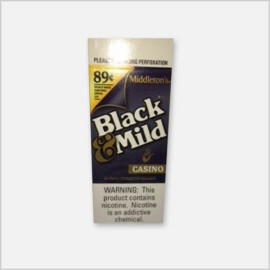 Black & Mild tobacco is fully flavored with an essence of sweetness. 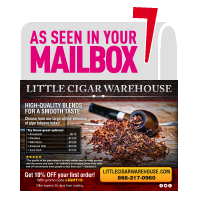 The aroma emanating from Black & Mild machine rolled cigars is so pleasant, pure and delightful that it leaves the smoker with the true understanding of a redolent aftertaste close to that of a hand made premium cigar. 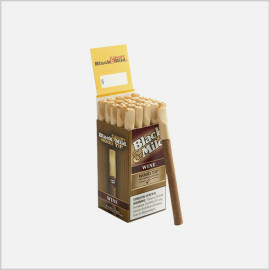 Black And Mild Cigars flavors range from fruity Apple to Cream, Vanilla Black & Mild Cigars and other exotic aromas. 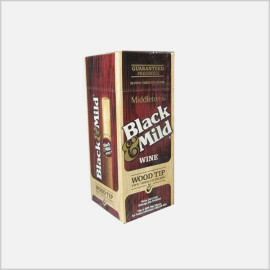 Some of the Black & Mild machine rolled Cigar Wraps also feature wooden tip. In a shorter version called Shorts , which are about half of the size of regular Smokey Mountain Snuff and also in filtered Black And Mild Cigars versions.